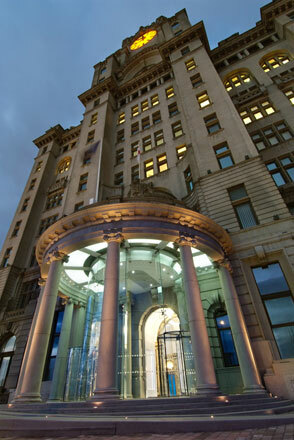 The Royal Liver Building in Liverpool is both Grade I listed and in a World Heritage Site. 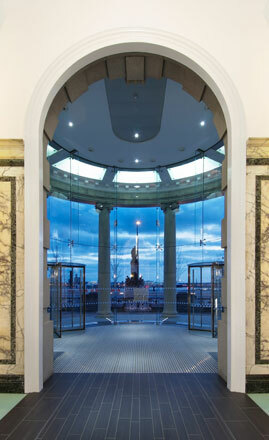 The client’s brief required the building entrance fronting the river to be less inhospitable to visitors. 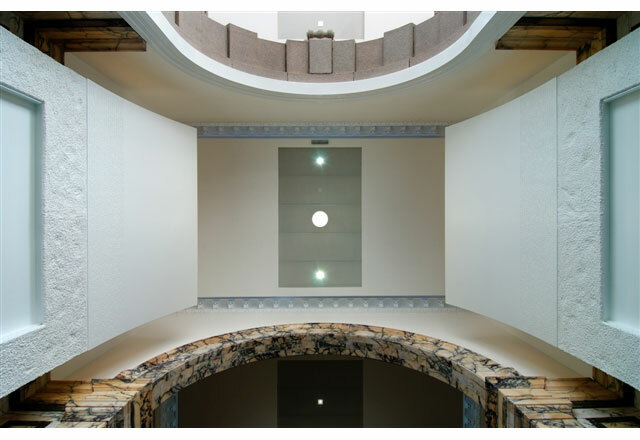 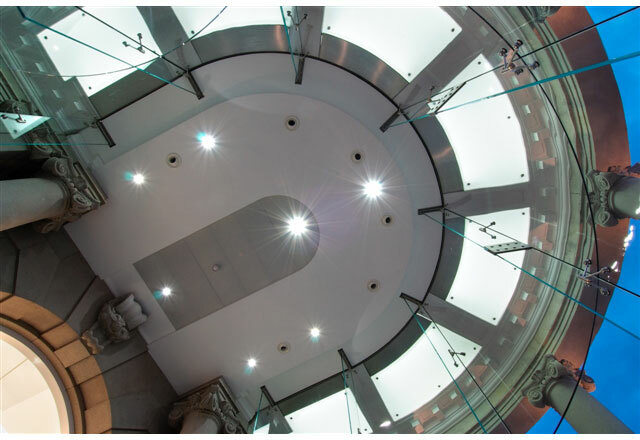 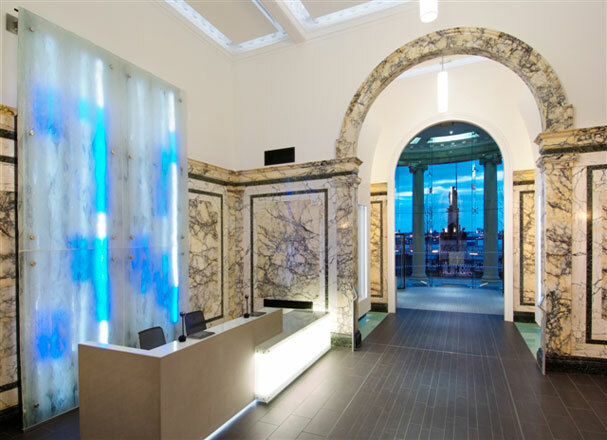 To achieve this and without damage to the building fabric, visually or otherwise, glass was incorporated extensively to form an enclosed space within the portico at the front of the building and to form part of the new reception. 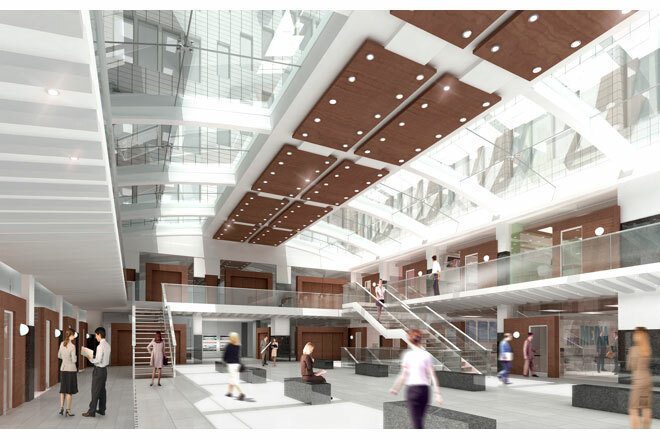 The interior of the building is also listed and required sensitive and creative design in order to provide a more modern image. 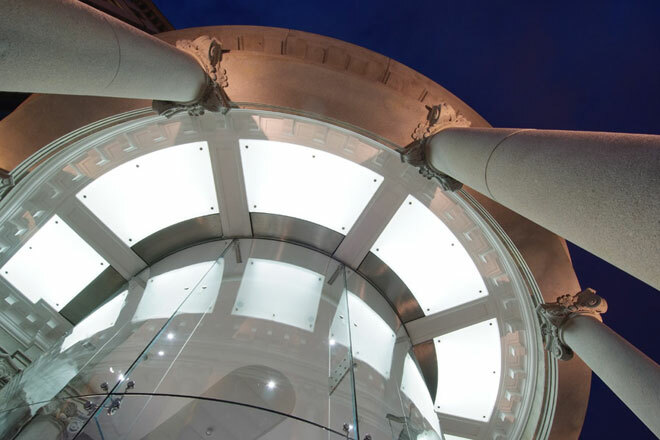 The project was nominated for a Heritage Award in 2011.